I don’t like thunderstorms. Oh sure, they’re fine if you’re on the ground, but ever since a particularly nasty encounter with windshear in a severe storm flying into Charlotte back in the early 1990s, flying around storms has made me anxious. 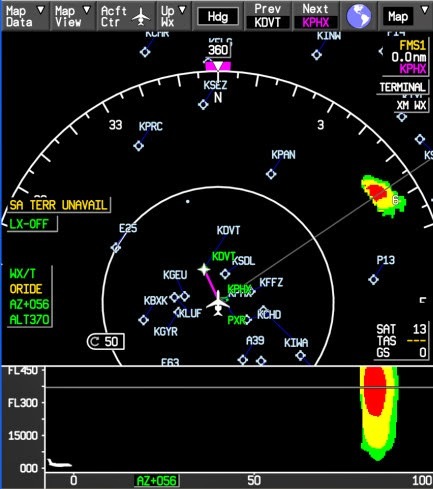 So when I went to visit with Honeywell back in May, I was particularly interested in learning more about advances in weather radar. Unfortunately we didn’t get into much detail there, but I was able to schedule a follow up call. In short, weather radar is a whole lot better than it was back in the early 1990s, and there are a lot more cool things coming down the pipe. I suppose we should start with the basics. 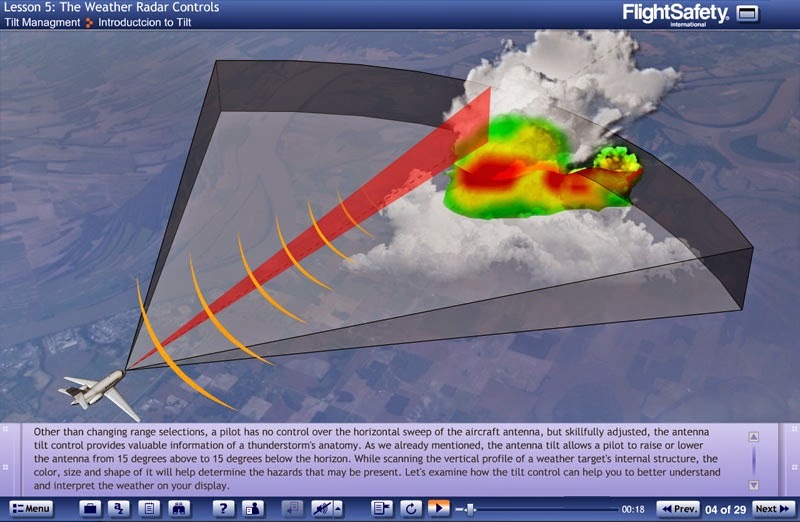 How does weather radar work? Well, take a look at that pretty rounded nosecone in the front of the airplane. Now imagine that popped right off. Underneath, you’ll find a big dish (Honeywell’s is 30 inches in diameter) that handles radar duty on every airplane. That’s right, the nosecone is really just an aerodynamic cover and nothing else. Of course, something like another airplane is an object that would create a return. Same goes for, oh, say, a mountain. That’s important for navigation, but it doesn’t help with weather. For weather, the returns come from water and ice in the atmosphere. 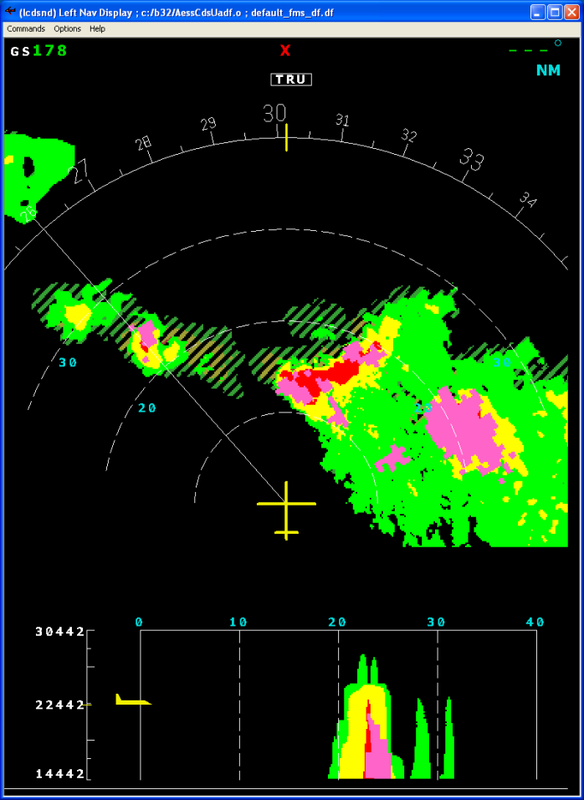 And the size and intensity of the drops paints a picture on the screen for the pilots. The pilots themselves have some control. 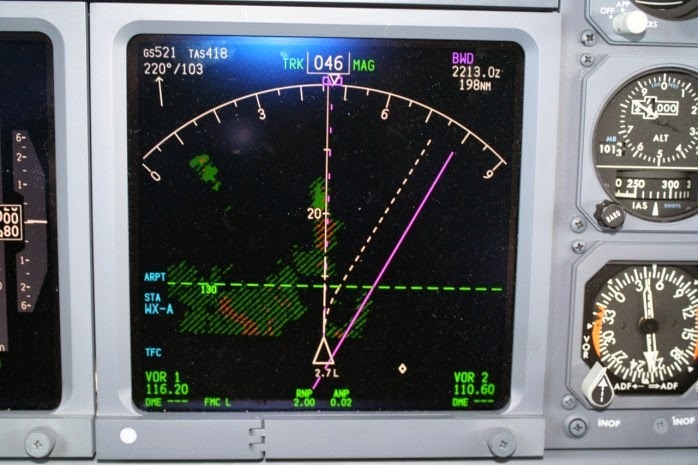 As the image above shows, traditionally, they point the radar in the direction they want. If they’re flying straight, then they point it straight ahead. If they’re going to be descending, they might point it down. Or if they’re looking for other altitudes with a better ride, they could point it however they want. 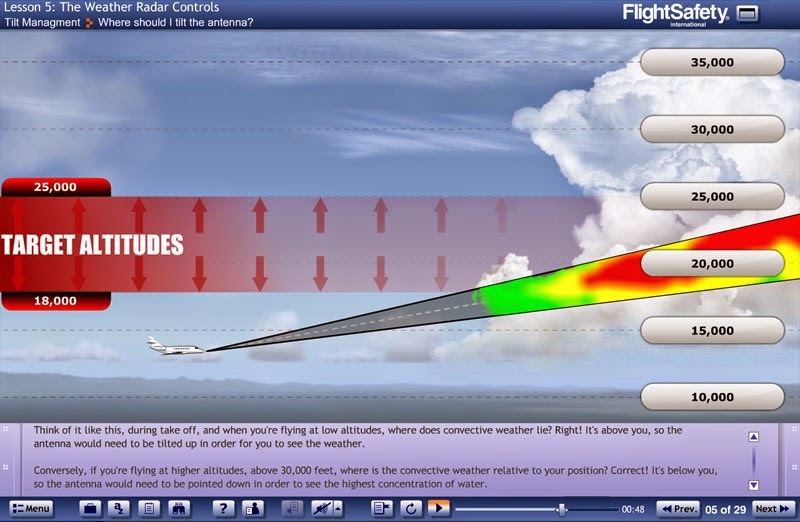 The result is that you get a narrow view of precipitation, but it provides an important tool for pilots. The thing is, there’s a lot more that can be done with this data.